At Christ Church Cathedral, the connection between spirit and song is well established. The Anglican choral tradition has been maintained here throughout the centuries and singing continues to be a regular part of services. Did you know that singing is good for your health? Would you like to know how far (or how high) the Cathedral choir would go to uplift the community in difficult times? Read on and discover why music is one of the pillars of the Cathedral’s ministry and how your donations to the Major Fundraising Campaign can help keep the tradition alive. According to the authors of The Anglican Musical Tradition: Introduction, in the Anglican Church, song is akin to prayer. One sings not to entertain, but to join with others in an offering to God. Moreover, this connection is considered to work both ways: given that God created the elements of music (time, tone and timbre), composers use divine tools when they, in turn, create. The Church also considers that as it is a means of communion and communication, song is an attribute of God made manifest in the world. Anglican theology also recognizes that music serves to connect us with the divine and with each other. In the context of services and celebrations, it is the free will offering of a congregation that opens it up to receive the Grace of God. Good for the soul, yes, but for the body too! Singing is not only spiritually uplifting, it is also excellent for physical health. Over the past few decades, studies have shown that singing elevates mood through the release of endorphins and oxytocin, improves circulation by bringing more oxygen to the blood and, according to an article published in the Journal of Music Therapy, it even alleviates pain. An article in a 2004 edition of the Journal of Behavioral Medicine reported that singing decreases levels of cortisol and boosts the immune system. On May 1st, 1998, the Christ Church Cathedral choir welcomed spring from the top of the bell tower. Anyone who has sung four-part harmony in a large group can attest to the fact that it is energizing and conjures up an irresistible unifying force. Researchers of the Sahlgrenska Academy at Gothenburg University in Sweden found a surprising manifestation of this when they discovered that the heartbeats of choral singers sync up when they are singing the same melody. Now add to this the dizzying effect of climbing scaffolding to a platform located 70 feet above ground to sing madrigals together. Can you imagine how choristers’ hearts would collectively quicken? This was most assuredly the case when on May 1st, 1998, after a particularly trying Montreal winter, the members of the Christ Church Cathedral choir climbed up scaffolding erected around the bell tower and serenaded downtown passers-by with the traditional Hymnus Eucharistus and a selection of joyful madrigals. The gesture was inspired by a tradition kept alive by the members of the Magdalen College, Oxford choir, who, every year, climb to the flat roof of a tower to sing a welcome to Spring. In Montreal in 1998, springtime was indeed long awaited and the arrival of more clement weather was most welcome! “Errant ice storms are not invited”, noted the Cathedral’s press release. In retrospect, the uncharacteristic weather experienced in Montreal during the Ice Storm of 1998 may have been one of the first signals of what can be expected from climate change. Since Al Gore toured the world with his Inconvenient Truth and his call to action, citizens’ organizations and governments alike have been working to raise consciousness and bring about needed changes that would help humanity avoid warming up the atmosphere past relatively safe levels. On Saturday, March 24th, from 8:15 to 9:30 p.m., the Choeur des enfants de Montréal (“CEM”) is bringing its 5th annual Earth Hour Concert to the Cathedral. The concert features performances by the CEM Senior Choir directed by Léa Moisan-Perrier, the English Montreal School Board Senior Chorale directed by Patricia Abbott, the McGill Conservatory Youth Choir directed by Penni Clarke and the Ottawa Catholic School Board Chamber Choir (Ottawa) directed by Carla MacGregor. In 2018, it is suggested that Earth Hour activities focus on raising awareness on climate change. The event takes place every year to raise awareness of Earth Hour, joining participants to millions of people around the globe who “host events, switch off their lights, and make noise for climate change action”. In Montreal, about 120 choristers will perform a programme of choral music – a celebration of light and hope that includes Hymne à la beauté du monde by Christian St-Roch, We are the World by Michael Jackson and Lionel Richie, arranged by Jay Althouse, and Adiemus by Karl Jenkins. Works by composers such as Rameau, Elder, Holst and Debussy will also be featured. In accordance with the original concept of Earth Hour, all of the Cathedral’s lights will be extinguished and candles will light up the church with dozens of individual points of light. Whether you are a singer or simply like to listen, we invite you to let your heart beat as one with those of your fellows on March 24th or to attend one of the regular services at Christ Church Cathedral, when the Cathedral choir is accompanied on the Karl Wilhelm organ by the masterful Patrick Wedd (Music Director), Nicolas Capozzoli (Assistant organist) and Robert Hamilton (Organ Scholar ). You just may find yourself experiencing a bit of heaven on earth. Earth Hour is a worldwide grass-roots movement for the planet organized by the World Wide Fund for Nature (WWF) that engages a massive mainstream community on a broad range of environmental issues. Started as a lights-off event in Sydney, Australia in 2007, it has grown to engage more than 7000 cities and towns worldwide. Have you sung in the choir or performed at a concert at the Cathedral? Are you moved by the music at Cathedral services? Were you one of the choristers who climbed the bell tower in 1998? If you would like to share your experience, Rising Up! would love to hear from you! 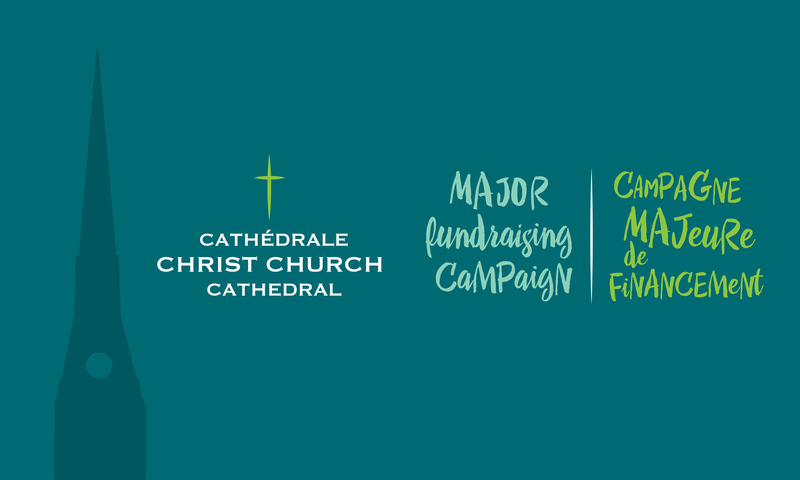 Please contact us at Campaign.Communications@montrealcathedral.ca.